Scary, Creepy Kids! – Random. Structured. Haphazard. All Me. But I grew up and the blood and gore just wasn’t fun anymore..it wasn’t even remotely scary. A long time after that, of not being scared or even remotely rattled, I saw The Ring. And Samara…she was creepy. Not in the grotesque form she comes out from the t.v in the end but the unflinching, unblinking facade of human Samara…it was eerie and she did more for the creepy factor in the movie than anything else. The menace in her voice when she’s being interviewed by the shrinks of the asylum she’s admitted in…C-R-E-E-P-Y. Another kid who was undoubtedly creepy and could’ve very well been the bad guy of the movie was the little kid from the same movie- Aidan. I mean what is with that frigid glance and unmodulating tone? 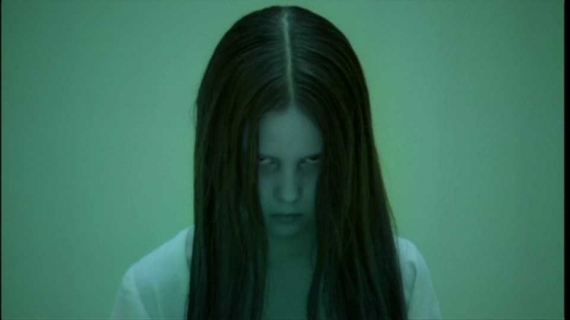 Last but certainly not the least- the little kid from Grudge takes the cake. The geisha-like face, eyes black like marble…Toshio is pretty freaky and has quite a a bit of startle factor! No wonder the Jasons, Freddys and Myers have conceded their spots. The Gen-X of scarers are here to stay! I don’t do scary movies without my blankie!